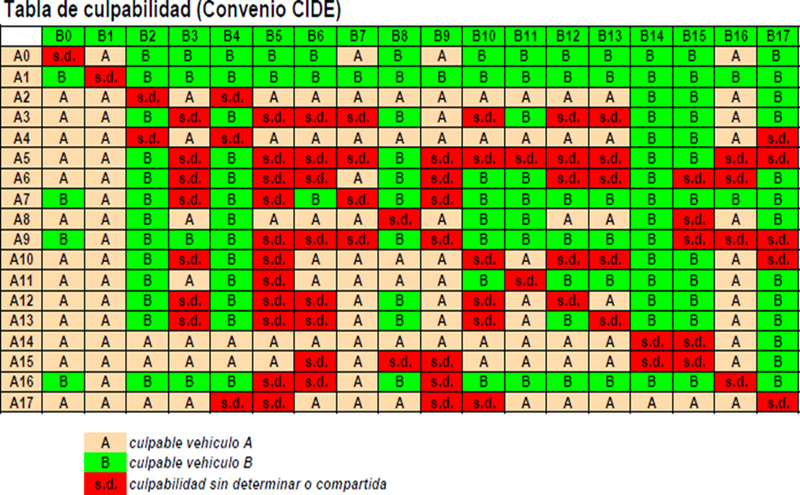 Know the Spanish Direct Compensation Agreement (CIDE), to determine which vehicle is the responsible. Agreements between spanish insurance companies to determine responsibility in accidents between spanish vehicles (material damages). Currently there are more than 30 million Spanish vehicles insured and in Spain alone there are close to 2 million accidents involving 4 million vehicles each year. In order to deal with these claims in the fastest and most effective way, Spanish insurance companies have been using, since January 1988, the Spanish Direct Compensation Agreement (CIDE) to determine which vehicle is responsible. The CIDE agreement is currently used by all the insurance companies operating in Spain to determine responsibility in RTAs. This agreement only applies to RTAs where there has been a direct collision between two vehicles. Both vehicles must be covered by compulsory Third Party insurance. The application of the agreement will only be possible when there has been a European Accident Statement (EAS) duly filled out and signed by both drivers. Damages when more than two vehicles are involved. Any other material damages other than those caused to the vehicles involved. 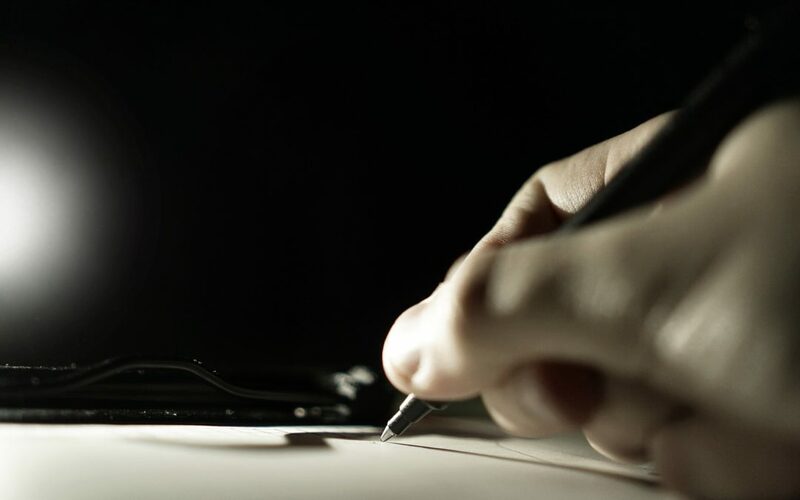 For any other type of damages the following two agreements shall be implemented: The Spanish Supplementary Agreement for Direct Indenisation (ASCIDE) and the Material Damages Claims Agreement (SDM). So how does the CIDE Agreement work? It’s very simple. Responsibility is determined immediately, using a data table, depending on the boxes checked in the EAS forms filled out by the drivers of both vehicles. What is the ASCIDE agreement? ASCIDE stands for Spanish Supplementary Agreement for Direct Indenisation. It’s a complementary agreement to the CIDE, and applies to those claims which don’t fall under the auspices of the latter, fundamentally for someone not having filled out the report form, or because the form was invalid because of not being correctly filled out, or because it was impossible to determine the responsibility according to the CIDE criteria. If there isn’t an EAS or if it isn’t valid, the requirements established by the CIDE Agreement will be complemented by objective elements such as: the Police Report, witnesses, traffic lights, etc. ; that is to say, following the objective criteria based on the Highway Code and other regulations regarding these issues which the insurance industry usually uses to resolve these cases. When there are contradictory statements, the claims handlers will try to rigorously reconstruct the facts as objectively as possible, beginning with insured party’s statements and then using any other information that exists. a) If by deducting the responsibility of one of the insured parties in the reconstruction, you can apply the criteria laid out in article 1, this agreement shall be followed. b.1) RIGHT OF WAY, GIVE WAY & STOP: When there are contradictory statements and there isn’t any other evidence (police report, witness statement etc), where there weren’t any traffic lights nor traffic police indications, then the vehicle which does not respect the abovementioned indications will be considered responsible for the accident. b.3) OVERTAKING MANOEUVRES: The vehicle showing damages on its right hand side shall always be considered responsible; this includes vehicles joining traffic from being parked. b.4) CHANGING DIRECTION OR U-TURN: The vehicle that makes this manoeuvre shall always be considered responsible. When changing direction the traffic rule which gives priority to vehicles approaching from the right shall apply. b.5) PARKED VEHICLES.- The vehicle that collides with the one parked shall always be considered responsible, even if said vehicle is not correctly parked. b.6) EXITING BACKSTREETS (CUL-DE-SACS: garages, parking areas, restricted areas, etc. ).- The vehicle leaving said areas shall always be considered responsible. b.7) PARALLEL TURNS (vehicles next to each other in two separate lanes). – The vehicle on the outside is always responsible. b.8) PULLING OUT: the vehicle which pulls out is always responsible even when hit from behind. b.9) REVERSING AND HIT FROM BEHIND. – the vehicle with damage to the front is always responsible. These “Rules” can be modified and complemented with new ones by the Comisión de Vigilancia y Arbitraje (Vigilance and Arbitrage Committee) as and when time and experience suggest such modifications appropriate. If despite the best efforts of the claim handlers and once all pertinent enquiries have been exhausted, it is impossible to agree upon a common version and, consequently, it is also impossible to apply the procedures laid out in the abovementioned points, the Insurance Companies shall be free to act in the best interests of the Insured parties and of their own. It must be said that this manual shall apply only to the claim handling between Spanish insurance companies and can not be applied to insured parties to whom the MTPL legislation applies. (The application of the agreement is only for Insurance Companies and not for insured parties. If the insured party doesn’t agree with the decision made by the insurance companies, they are free to take legal action to defend their interests).